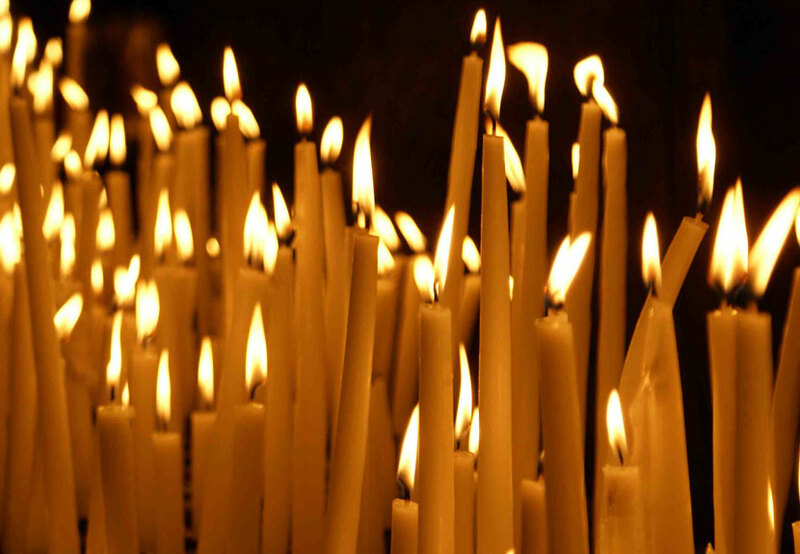 The Clergy, Executive Board, and Members of St. Sava Serbian Orthodox Church express condolences to the family of Mildred Kosovich. Memory eternal. Mildred Kosovich, age 92, of Hobart passed away peacefully Tuesday, March 25, 2014. She is survived by three loving sons: Walter (Suzanne) Kosovich of Greenfield, IN, Robert (Lynn) Kosovich of Portage, IN, and Kenneth (Stephanie) Kosovich of Tecumseh, MO; five grandchildren: Christopher, Kevin (Kristen), Kyle (Bethany), Ryan Kosovich, and Renee (John) Ankrom; seven great grandchildren: Alaina, Abbi, Andrew, Maya, Autumn, Israel, and Bryant; nieces, nephews, relatives, and lifelong family friends. Preceded in death by her beloved husband of 56 years, Walter; parents: Stojan and Draga Shiyan; and brothers: Steve and George. Millie was a lifelong area resident and dedicated member of St. Sava Serbian Orthodox Church and the Serbian Sisters Circle (Kolo). She was a homemaker and a retired member of the St. Mary Hospital kitchen staff. Funeral services will be held Monday, March 31, 2014 at 10:00 a.m. DIRECTLY at St. Sava Serbian Orthodox Church, 9191 Mississippi St., Merrillville with V. Rev. Marko Matic officiating. Interment at Calumet Park Cemetery, Merrillville. Visitation will be Sunday, March 30, 2014 from 2:00-8:00 p.m. at Burns Funeral Home, 10101 Broadway, Crown Point with a Pomen service at 7:00 p.m. Memorials may be donated to St. Sava Serbian Orthodox Church. Arrangements were completed by Savich & Semplinski Funeral Directors. For further information, please call Savich & Semplinski Funeral Directors at Burns Funeral Home (219) 769-0044.